Have you seen the fantastic photo series of the HK Shop Cats by Marcel Heijnen? We are very excited to collaborate with Marcel and feature these hardworking cats in our 2017 LAP calendar! 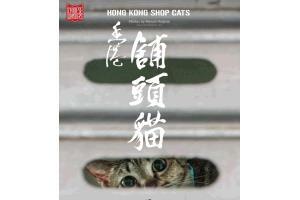 They are beautiful photos, beautiful cats and a fascinating record of a disappearing aspect of HK life. Thanks to our generous sponsors Marcel Heijnen and "Stella's and Chewy's" 100% of the sales will help homeless animals.